The long wait is over. 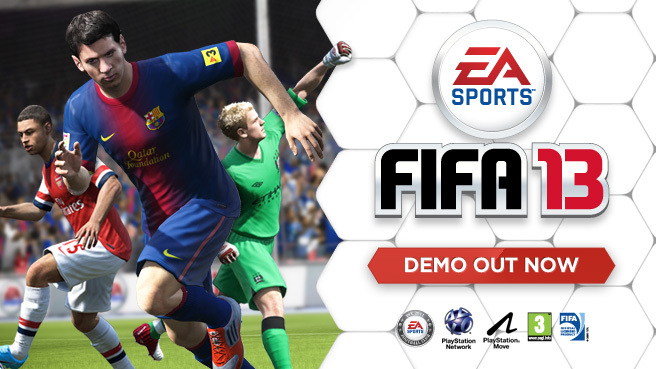 The FIFA 14 demo is available for download on PC, Xbox 360 and PlayStation 3! From today, fans can play in Camp Nou as FC Barcelona, AC Milan, Manchester City, Tottenham Hotspur, Paris Saint-Germain, Borussia Dortmund, Boca Juniors, New York Red Bulls, or one of the unique FIFA Ultimate Teams in the FIFA 14 demo. FIFA 14 is the pinnacle in franchise development on the current generation of consoles. Experience the emotion of scoring great goals with innovations to the award-winning gameplay that make the game more authentic and fun. Dictate the tempo of a match with Protect the Ball, an all-new feature that produces the realism of battling for possession in the midfield. Unleash the perfect strike with two new features, Pure Shot and Real Ball Physics, which transform shooting and goal-scoring in FIFA 14. FIFA 14 Ultimate Team will be represented in the demo and provide a glimpse in to the most popular game mode in FIFA. To get an early start on FIFA 14 Ultimate Team, returning FUT players can get started at http://easports.com/fifa/play after September 15, 2013**. 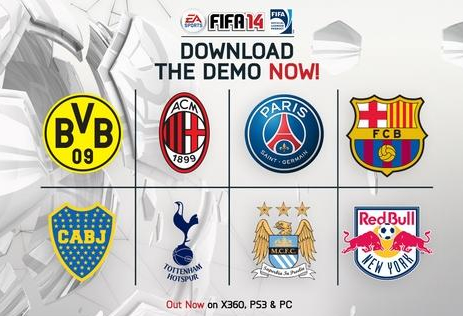 Please note: Club rosters for the FIFA 14 demo were final before the transfer window closed. A few late transfers will not appear at their new club in the demo. 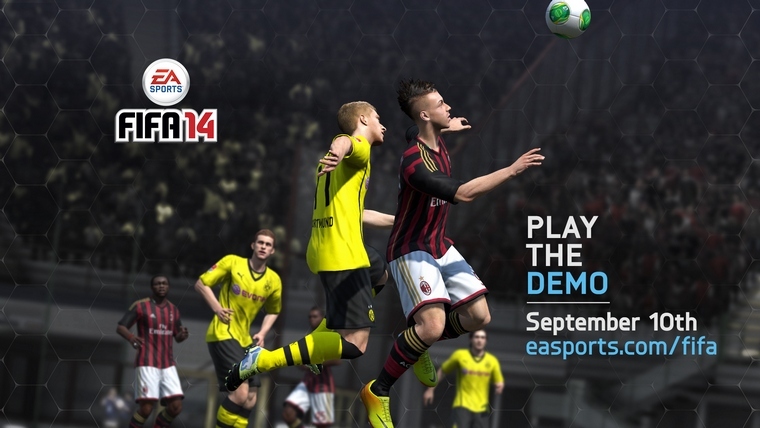 *EA SPORTS™ FIFA 14 Demo available on September 10th for Xbox Live Gold members and on September 17th for Xbox Live Silver members. Download the demo via one of the links listed per platform. @SweetpatchTV its good, first touch system is alot better. Its abit slow on movement but we will find ways around it im sure.